This volume contains three of Ben Jonson's greatest plays - Sejanus (1603), Volpone (1606) and Epicoene, or The Silent Woman (1609). Sejanus, an experimental tragedy written in the classical manner, was labelled a seditious work at the time of its first production and embroiled Jonson with the Privy Council. Volpone is the first of his mature comedies, with a remarkable cast of Venetian legacy-hunters: using verse of mock-heroic grandeur Jonson created in the character of Volpone one of his most flamboyant and cynical swindlers. Epicoene is a brilliant farce which makes fun of the pretensions of the courtiers, wits and bluestockings of contemporary London. 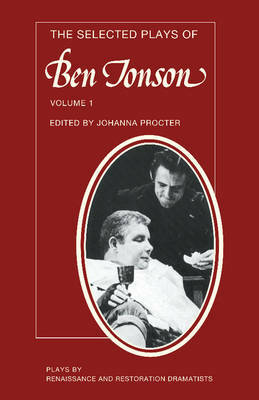 Jonson was unique in his own time for the close personal supervision he gave to the publication of his plays. As a result, the early published texts of the plays in this volume carry an unusually high degree of authorial intention. In preparing this modernised edition an attempt has been made to conserve something of the author's highly individual treatment of names, verb forms and punctuation.